Tandon is working tirelessly to bring this future into being, starting with developing clinical applications for tissue engineering as co-founder of EpiBone, a startup seeking to commercialise the world’s first living, personalised human bone grafts. She is also a senior TED Fellow, an electrical and biomedical engineer at Columbia University, and an adjunct professor at Cooper Union teaching a course on bioelectricity. Finally, she’s a collaborator at Brooklyn’s Genspace, where she teaches artists and architects how to incorporate biology into their work. 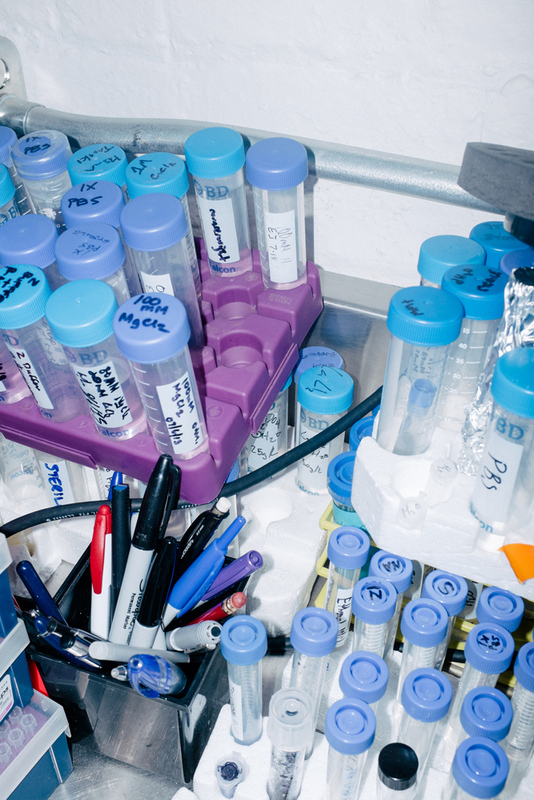 Genspace opened in 2009 as the country’s first community-based biohacking laboratory. Some scientists might balk at having to distribute their efforts between so many pursuits, and Tandon’s current work isn’t the most lucrative option for someone holding both an MBA and a PhD in biomedical engineering. But Tandon thrives as a varied careerist. 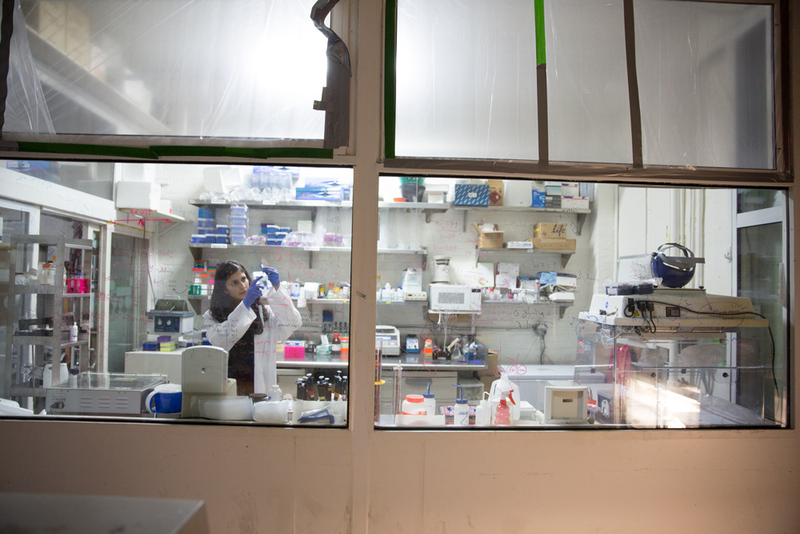 Dividing her time has created synergies that advance all of her projects at once: for example, students become research interns, and Genspace turns out to be an ideal collaborator for EpiBone. “It becomes a fluid exchange where at least for me, it feels like I’ve got a singular mission with a couple of different arms,” she explains. In some ways, the arrangement is a continuation of Tandon’s childhood, when she felt a “multiple personality about what I should do.” Although she excelled at puzzles and problem solving, she also was a regular in community theatre productions, wrote poetry and sewed her own “uncool and ugly” clothes at home. “When people say: ‘Are girls good at maths and science?’, I say: ‘Yeah, they’re good at a lot of things’,” she explains. She eventually opted for science, in part because her father said that given her talents, doing otherwise would be a “disservice to women”. Today, she feels her background as an engineer allows her to do more creative work than might have been possible if she had pursued the arts professionally. Still, she might not have gone into tissue engineering without a chance to observe human-built technology up close. After earning her bachelor’s degree in electrical engineering, Tandon went to work as an application developer at a large telecommunications company. She began taking college classes in physiology out of “personal interest” and began to see connections between the fields. “I started seeing all these analogies between the software and hardware of communications and what we have in our bodies and I was like, okay, I’ve got to go to grad school,” she explains. In her PhD work, she eventually specialised in electrical stimulation for cardiac tissue engineering. But growing functioning hearts outside the body is still in the realm of science fiction, owing to the wide variety and complex organisation of the tissues involved. On the other hand, simple organs like bladders, skin and even tracheas have already been successfully grown and implanted in humans. Currently, bone tissue falls somewhere in the middle on the pathway from basic research to the operating room. So, when she decided to start a company, Tandon thought it made sense to focus on engineering bone tissue. Tandon predicts that intellectual property developed at her startup, EpiBone, will be used in humans for the first time within the next 18 months, beginning with compassionate cases and moving from there into full clinical trials. EpiBone at this point remains focused on growing bone for use in facial reconstruction. This is where the old, interchangeable parts model of the body fails us, Tandon reasons. At the moment, if we need more bone, we have to remove it from somewhere else in the body, and secure it in place using foreign bodies like titanium screws. Why pursue such an invasive strategy when we can simply grow replacement tissue in the lab from our own stem cells? And why not make our screws out of living bone? Eventually, we may indeed see entire long bones, lungs and hearts grown in the lab. But far sooner, we’ll see tissue engineering revolutionise the development of new drugs and therapies. Currently, Tandon says, the process of bringing a drug to market takes $1bn and 10 years. With years of animal testing before clinical trials on people, companies can get far into this process before adverse effects show up and drugs are scrapped. Money is wasted and a culture of conservatism takes hold. Tandon predicts even more radical developments in store perhaps sooner than we realise, when her field of tissue engineering will merge with synthetic biology. While tissue engineers stimulate cells to grow in a certain way, synthetic biologists reprogram their genetic code. When these join forces, Tandon says, we’re likely to see such exotic innovations as biological batteries like those that exist in electric eels or tobacco plants that are able to produce energy. New cells will be combined into biological structures that don’t exist yet in nature, but that take advantage of biology’s unmatched engineering genius. “Mitochondria produce energy 10,000 times more efficiently than the sun, per weight,” Tandon explains, her excitement building. “It’s beyond anything we can engineer ourselves, but if we start using it as our technology, it’s going to be huge.” More pragmatically, Tandon realises that science cannot make such strides without support from the public and the venture capital community. She’s frequently seen touting the l benefits of tissue engineering at events thick with potential investors, such as TED and the Bloomberg Longevity Economy Conference in New York.